It’s my first full week of being a resident in Raleigh, North Carolina! I wanted to share a little bit behind why I decided to move to Raleigh, in case you’re interested in that story. I shared a plethora of details of my journey to working full-time with Stephanie Scholl Events (Part One and Part Two). But it was also time! DC is a very transient city, and very few people move there and intend to actually live there permanently. There’s definitely a feeling of instability as to the amount of time you live there, and many, may of my friends have moved away. It’s been pretty cool, though, to see new friends enter my life when other friends move away. I love looking back at my birthday celebration each year & seeing who is in attendance. It changes hugely each and every year – not because friendships have ended, but simply because friends have moved away. I still keep up with every one of those dear friends, but I’d say 15 of my closest friends throughout the years had moved away. Anyway, I never really moved to DC in 2009 thinking that I would live there permanently. I don’t think I really thought I’d live there six years, but that’s perfectly fine. The two biggest reasons (really, the only big reasons!) that I wanted to move away from DC were simply the cost of living and the traffic. Oh my, those two factors were pretty awful parts of DC. I always said the only parts of DC I didn’t like were the cost of living and the traffic, and it’s completely true. I have very much been wanting my own apartment, especially since I’m working from home now, and I definitely cannot afford a $2000 – $2500 one-bedroom apartment. And the metro cost me at least $300 every month for those six years. That adds up! And traffic… oh traffic. Insanely awful – always! I don’t know how many hours I wasted sitting in traffic (countless), and it’s one of those things that only gets worse in DC. If I ever drove to work from my home to the heart of the city (six miles), it would take at least 1.5 hours. Each way. Anyway! I knew I wanted to move away, and I landed on Raleigh as the best fit for this next step in my life! I debated Charleston (it’s definitely my favorite city in the US), but I don’t know anyone there at all. I wanted to be closer to my parents who are in Charlotte (while, ironically, moving further from my sister + brother-in-law who just moved back to NYC) and I wanted to get back to my Southern roots. I went to college in Chapel Hill (go Heels! ), and I have friends in the area. 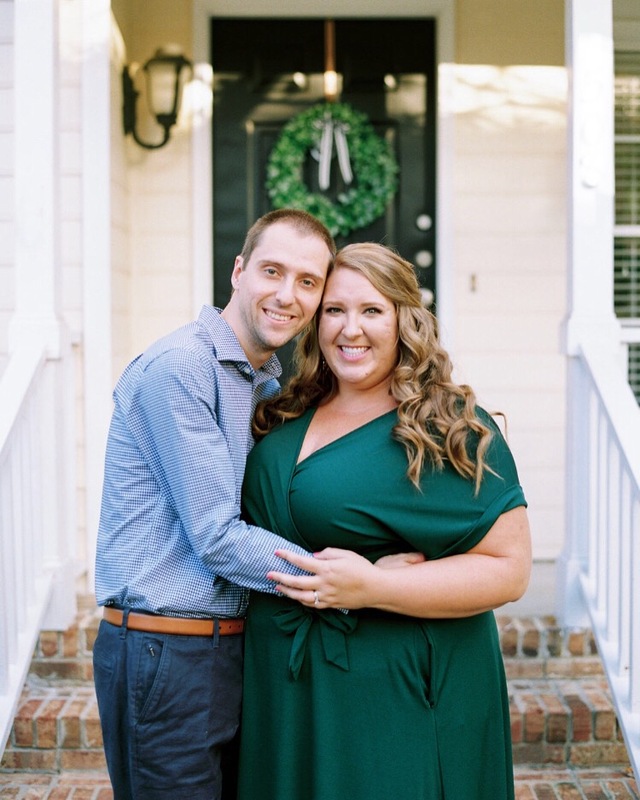 I also have attended something like twenty weddings in the Triangle (Raleigh/Durham/Chapel Hill), and I’ve been able to either maintain relationships with a lot of wedding vendors or connect with dozens more via social media. The Triangle, at least to me, is a huge hub of the wedding industry, and so much happens in these cities. Southern Weddings, a company I’ve loved for years and years, is also in the area, so there is a plethora of local talent and activity. All of these factors led to my decision to make Raleigh my new home! 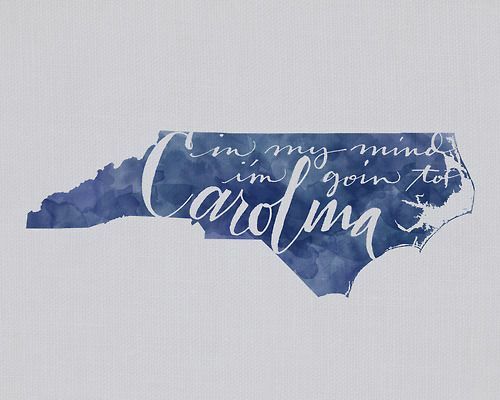 And North Carolina is very much home. And I’m so excited to be here!! I cannot wait to dive in: working with amazing brides, designing styled shoots, connecting with incredible vendors, collaborating on projects, serving in as many ways as I can, networking and getting to know others, exploring the area, and spreading as much beauty, joy, & love as I can. If you’re local, I would LOVE to get to know you! Please do reach out to say hi!! Thank you, Grandma! Love you!! You’ll love it here! We originally came from Northern Michigan(pretty much Canada), tried the gulf side of Florida, and then landed here 8 years ago. It’s been a place of so many possibilities for our whole family. It’d take a lot to make me leave here now! That’s so awesome to hear! !